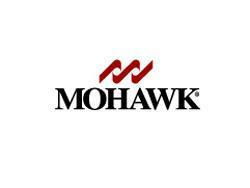 Dalton, GA, April 16, 2015—Mohawk Industries has purchased KAI Group, Bulgaria’s largest manufacturer of ceramic tiles. The transaction, which totaled $208.75 million and was approved by Bulgaria’s Commission for Protection of Competition, is the largest transaction in the country so far in 2015. KAI Group, owned for the last seven years by investment fund Advent International, exports more than half its production to more than 25 counties in Europe and throughout the world. The transaction will be finalized in about a month.